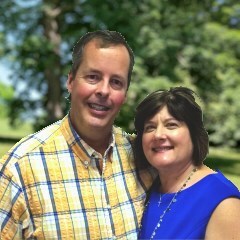 David and his wife Brenda have been members of Staunton Grace since 2004 and home group leaders since 2009. David and Brenda have been on several mission trips to Betel UK and also head up the Single Ladies Car Care ministry. David joined the Staunton Grace elder board in February 2016. He holds a PhD in Computer Science from the University of Virginia and operates his own software development company.